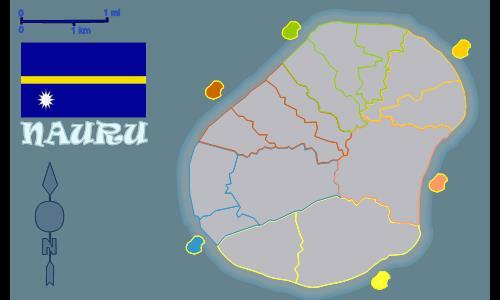 Nauru, the second tiniest island-state in the world. The country with a moonshape. Review by Ninjafisher1980 on 4/13/2014. Give disrespectful comments? Uh well, hope your series turns out better than this map, but this was a nice, quick, clean game. Review by Mephistophele on 12/16/2018. As advised, a quick 1vs1 play, fair and balanced, no more and no less than this. Perhaps the North start is a bit favored, for the chanche to take Anibare and thus having 7 income vs 6 on turn 2. The disign is clean and well done. 1 out of 1 person found this review helpful. Review by warhawk on 5/1/2017. Good guesser are you ? Good luck. That is all this map can do for ya. Review by Andalorium on 9/20/2016. It's not very fun when the game does not last very long. 0 out of 1 person found this review helpful.